In 2007 we docked at the terminal, but in 2008 we were shunted off to the Cargo area with only containers towering above us. Grrr! 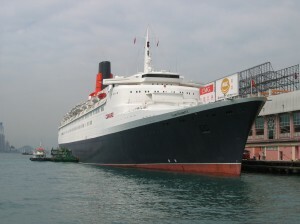 QE2 Prepares to anchor. 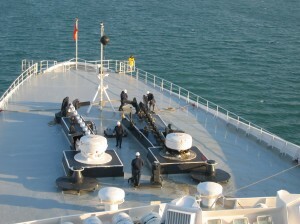 Note anchor ball and company flag.